As we get ready for our butterfly walk on Sunday, we'd like to take a moment to honor Jill Ann Ziemkiewicz, in whose memory the butterfly garden outside the Environment Center in DeKorte is named. 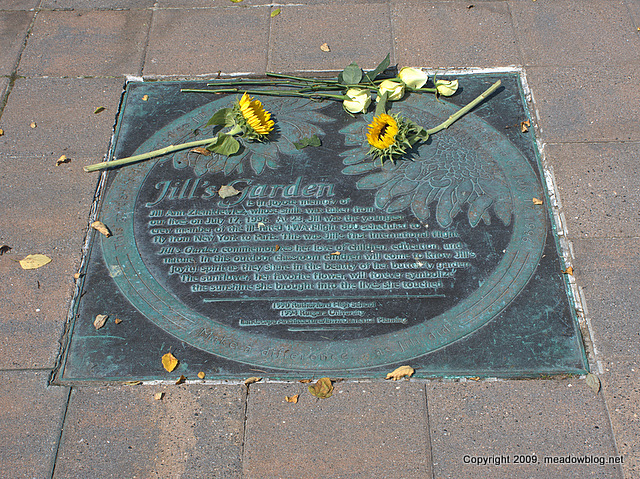 Jill Ann Ziemkiewicz of Rutherford died on July 17, 1996. She was 23, and the youngest flight attendant on TWA Flight800, which crashed into the ocean off Long Island. 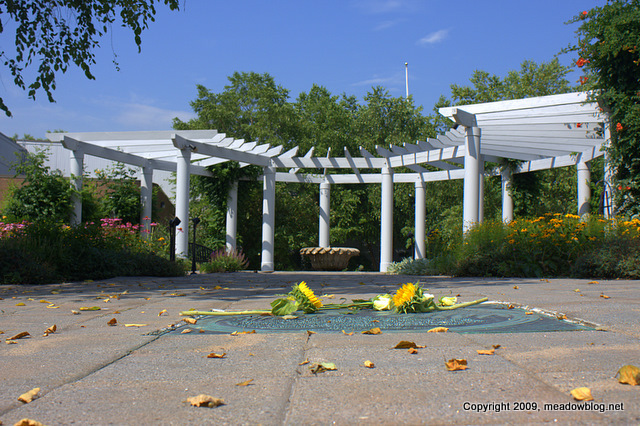 The garden is designed around a sunflower-shaped fountain, is filled with colorful flowers that attract butterflies from late spring into autumn. The New York Times article on her memorial service at St. Patrick's Cathedral is here. Reminder: Butterfly Walk on Sunday at 1 p.m.
We are expecting a solid turnout for Sunday's Butterfly Walk at DeKorte Park at 1 p.m., so please register ahead of time (by day's end Friday). Click here for details and how to register. 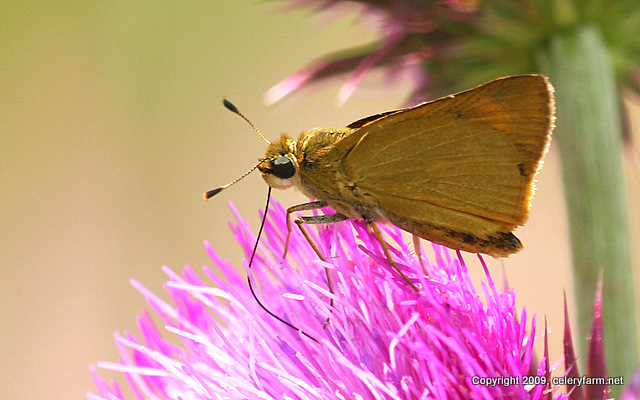 The butterfly above, by the way, is a Delaware Skipper, photographed at the AMVETS Carillon in DeKorte Park.